Emma Foster holds a Bachelor of Music from the Elder Conservatorium in Adelaide, a Graduate Diploma in Education from the University of Adelaide and a Diploma in Opera Studies from the Australian Opera Studio, Perth Western Australia. 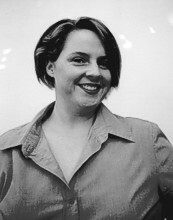 In 1999 Emma was a semi-finalist in the Australian Singing Competion and the Australian Broadcasting Corporation's Young Performer of the Year Awards. In 2000 she was nominated by the State Opera of South Australia for the Opera Awards which form part of the Australian Singing Competition. Emma's operatic performances include Clarina in Rossini's La Cambiale di Matrimonio, Brigitta in Tchaikovsky's Yolanta and Philadel in King Arthur by Handel More recently her roles have included Dorabella in Mozart's La Clemenza di Tito, Bradamante in Handel's Alcina, Amastris in Xerxes by Handel, Tancredi in Rossini's Tancredi, Mother in Hänsel and Gretel by Humperdinck and Prince Orlofsky in J.Strauss' Die Fledermaus. Emma was a soloist with the Adelaide Chamber Singers, in Handel's Messiah, Bach's Christmas Oratorio and also in the Adelaide Prom Concerts. She was a member of the State Opera of South Australia's Young Artist programme in 2000. In 2002 Emma performed in London with the English Chamber Orchestra under Robin Stapleton, later in Japan with the Royal Philharmonic Orchestra under Roderick Brydon and in 2003 she performed in a combined concert with the Beijing Opera, China. During February 2004 Emma performed in Beethoven's Ninth Symphony in Japan and between June 2004 and August 2005 Emma will take up a one years contract with the Hessisches Staatstheater Wiesbaden in Germany as a result of winning the 2004 More Than Opera, German-Australian Opera Grant.